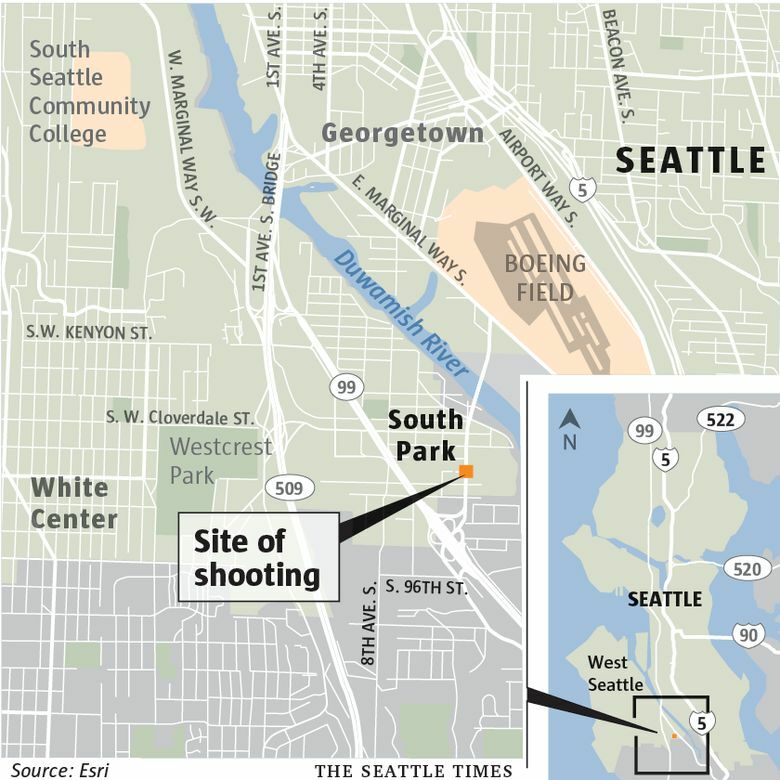 The circumstances that led to the shooting in Seattle's South Park neighborhood were not immediately known. One person has been hospitalized with life-threatening injuries after a shooting in Seattle’s South Park neighborhood, according to Seattle police. Detectives are heading to the crime scene at 14th Avenue South and South Trenton Street, the Seattle Police Department tweeted at 7:17 p.m. The victim, whose age and gender is unknown, is at Harborview Medical Center. Medics were first called to the area about a half hour prior, according to the fire department’s Real Time 911 website. Detectives enroute to shooting at 14 Ave S./S. Trenton. Victim transported to HMC with life-threatening injuries. Suspect still at large. Will update with additional information when available.